While sheds are primarily considered a storage space, they’re more and more being thought of as an extension of your livable space — where you can relax and unwind. But how do you take a shed from serving as a place to store things to a cozy place of comfort? 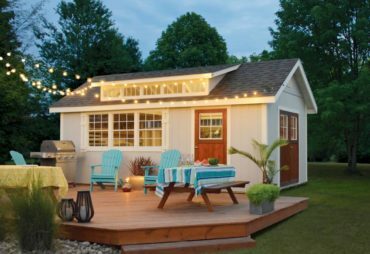 There are a number of tips and tricks to creating a cozy shed — some easy fixes and others that require a little more investment, whether that be time, labor or budget. Whether you’re looking to do a complete renovation or aiming to make some tweaks with minimal or simple changes, here are seven steps to start transforming your shed into a cozy space. Music can be the ultimate therapy when it comes to creating a calm space. Installing speakers is an easy way to up your shed’s ambiance and cater to anyone’s personal taste. Create a fun patio area. Complement your cozy space with a fun patio area. It’s as simple as purchasing a bistro set and adding a little decor to spice things up. This not only adds to your backyard’s overall look and feel, it sets up the shed as a livable place rather than a utilitarian storage space. What better way to say personal space than by adding meaningful trinkets and photos of loved ones? You can mirror your house’s decor to make your shed an extension of your home, or add decor to make your shed a whole new space of its own. You can also add exterior fixtures that complement the colors and textures of your shed siding. Bring in the positive energy to your shed with a few feng shui tips. This could include adding fresh flowers to bring in a natural element; clearing the clutter to allow for open, calm space; creating a corner to include a special reading nook — the list goes on! While roofing products with radiant barriers can help to keep your shed cool, adding a fan can certainly help make your shed a more comfortable place to unwind — and a trendy design can add style to the interior. Letting in natural light can liven up the shed’s interior and make your shed’s exterior lend itself to looking more like a place where people can hang out and relax. Just hire a recommended installer, or if you’re feeling handy, DIY it. Add lighting and hanging lights. 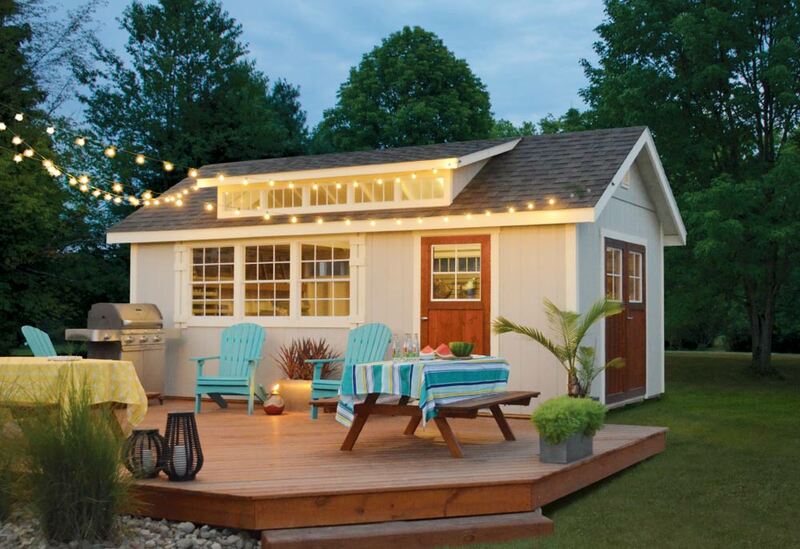 Whether it’s the inside or outside of your shed (or both), hanging up or installing lights can add charm to the space and enhance the vibrancy of your shed siding. If you’re seeking energy efficiency, consider installing a solar-powered lighting system. So if you believe your storage shed is wasting space, it’s time to consider a transformation! Following these simple steps will have you well on your way to better utilizing your shed and creating your own personal cozy cottage.